Minecraft Forge is a Modding API that makes it very easy to install a number of different Minecraft mods. 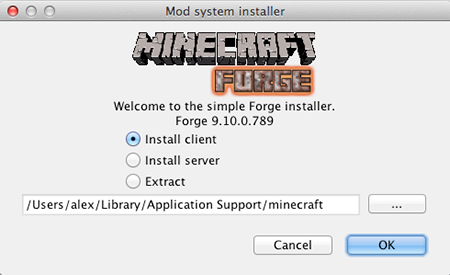 This guide will explain how to correctly install Forge for Minecraft 1.7. 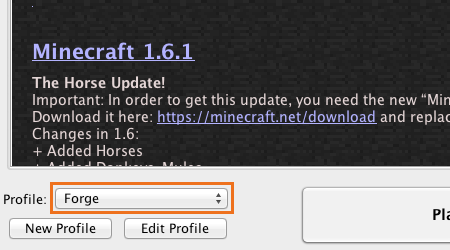 1.Download the recommended installer for 1.7 from the Minecraft Forge downloads page. 2. Open the .jar file you have just downloaded, make sure ‘Install client’ is selected and click OK. Once this has finished you will see a success message. 3. Launch Minecraft and select the Forge profile then click Play. 4. 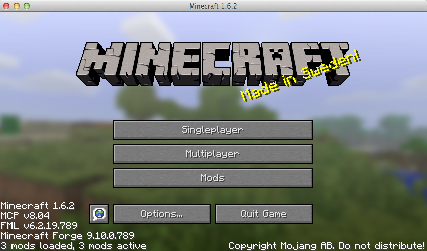 You should now see some Minecraft Forge text in the lower left hand corner and a Mods button below Multiplayer. If so, congratulations, you have successfully installed Minecraft Forge! Click here to find out how to add mods once Minecraft Forge has been installed.